The X class Rail Tractors were built by the Department of Railways at the Water Supply Workshops, Chullora. The first X100 class unit was in service on May 21st, 1962. The first X200 class unit was in service on December 2nd, 1963. There were 2 units in the X100 class, numbered X101-X102. There were 18 units in the X200 class, numbered X201-X218. The X100 class have a Bedford 300 series engine. 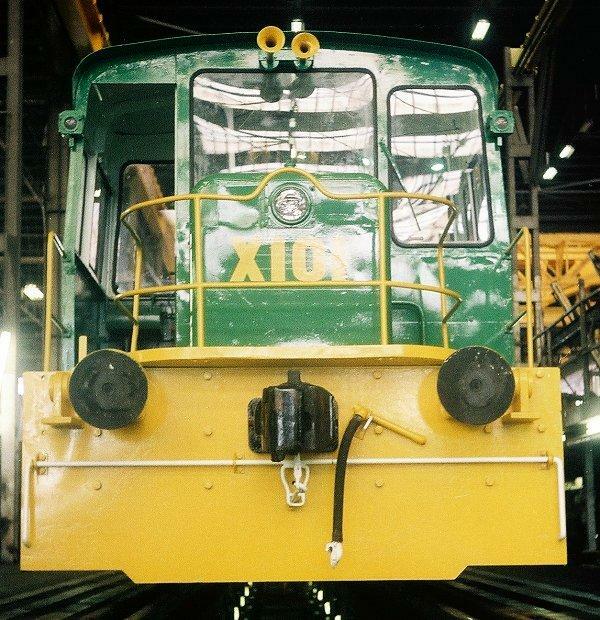 The X100 class weigh 17.7 tonnes and have 51 HP available for traction. The X200 class weigh 30.48 tonnes. X201-X206 have a Hercules DFXH-F engine with 200 HP available for traction. X207-X218 have a Cummins NHRS-6-B1 engine with 260 HP available for traction. 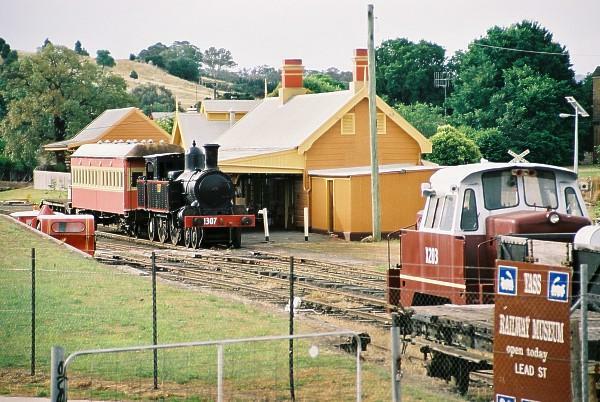 1307 and X203 stand in the Yass Railway museum at Yass on December 12th, 2000. You are visitor number since February 2nd, 2001.